swim from bali, nah just joking. nusa lombongan its the middle break.paddle. English (Translate this text in English): swim from bali, nah just joking.<br />nusa lombongan its the middle break.paddle. English (Translate this text in English): swim from bali, nah just joking.&lt;br &#47;&gt;nusa lombongan its the middle break.paddle. English (Translate this text in English): swim from bali, nah just joking.&amp;lt;br &amp;#47;&amp;gt;nusa lombongan its the middle break.paddle. get used to the rip. hold your line, dont bail because people often get deep,lose hope, and then come out. watch out for the spiky fish traps-manmade danger. English (Translate this text in English): get used to the rip.<br />hold your line, dont bail because people often get deep,lose hope, and then come out.<br />watch out for the spiky fish traps-manmade danger. English (Translate this text in English): get used to the rip.&lt;br &#47;&gt;hold your line, dont bail because people often get deep,lose hope, and then come out.&lt;br &#47;&gt;watch out for the spiky fish traps-manmade danger. English (Translate this text in English): get used to the rip.&amp;lt;br &amp;#47;&amp;gt;hold your line, dont bail because people often get deep,lose hope, and then come out.&amp;lt;br &amp;#47;&amp;gt;watch out for the spiky fish traps-manmade danger. 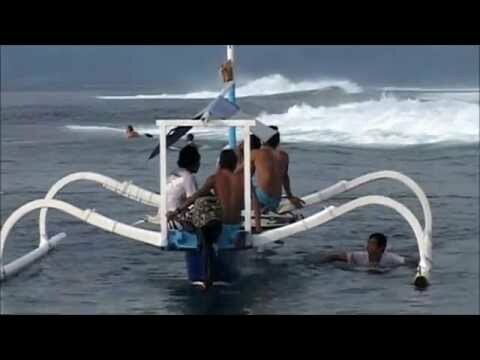 its not for anyone who isnt a confident right hand tube rider.pity it gets crowded. it can make it worth going to lombongan. English (Translate this text in English): its not for anyone who isnt a confident right hand tube rider.pity it gets crowded.<br />it can make it worth going to lombongan. English (Translate this text in English): its not for anyone who isnt a confident right hand tube rider.pity it gets crowded.&lt;br &#47;&gt;it can make it worth going to lombongan. English (Translate this text in English): its not for anyone who isnt a confident right hand tube rider.pity it gets crowded.&amp;lt;br &amp;#47;&amp;gt;it can make it worth going to lombongan. lassos - We had this wave sick in sep 09. Double head + sets. Only 4 guys actually taking them. Got the longest forehand tube of my life. Board / neck snapping heavy wave though - not for kooks! There are a couple of places to stay on Nusa Lambongin for under 10 USD. Close to the breaks, also some resorts for quite a bit more. Stayed there for a week in September and had a smokin good time 5 foot, no-one out. There can be a bit of a rip when it gets big, but if not too big a super fun wave. Saw about 5 bloody heads that week at lacerations, and shipwrecks is epic. Great little island to stay for a little while if you don't need to party every night.